SIEMAG TECBERG carried out an electrical and controls upgrade on the production hoist at Northparkes mine earlier this year. The 3 MW Koepe production hoist at Northparkes Mines was supplied by MAN GHH in 1993, and designed to hoist 815 tonnes per hour from a depth of 492 metres at a hoisting speed of 15 metres per second. SIEMAG acquired the Hoisting Division of MAN GHH in 1997. As part of the recent upgrade, SIEMAG TECBERG supplied a new hydraulic power pack and associated controls for the brake system of this friction hoist, utilising the existing SIEMAG (GHH) disc brake callipers. The system belongs to the proven SIEMAG ST N group of brake systems designed for hoisting speeds greater than 4m/s and featuring controlled retardation to ensure that the braking effort is sufficient to bring the system safely to rest, but limiting the rate of deceleration to avoid possible injury to persons or rope slip. In the unlikely event of loss of hydraulic pressure, the multiple callipers are spring applied, making the system fail-safe. The two braking functions provided include the service brake for normal operations, which holds the conveyances at the end of each cycle in automatic mode or whenever commanded by the winder driver when in manual mode; as well as the safety brake, which is initiated by a system fault. The installed system consists of three channels that act independently, hydraulically and control wise, offering a high level of integrity and redundancy. Each independent channel offers closed-loop control, which modulates the hydraulic pressure in each channel to ensure that the retardation rate is within the design limits irrespective of direction of travel, speed and payload. The equipment supplied complies with the NSW Department of Trade & Investment’s Division of Resources and Energy guidelines, MDG33 and MDG2005. 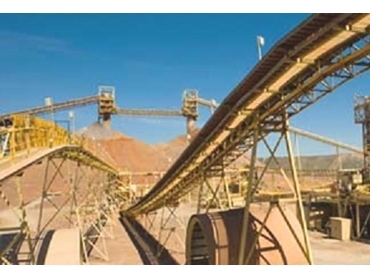 SIEMAG TECBERG Australia Pty Ltd designs and manufactures brake systems specifically for all mine winder applications. The range includes open loop, semi-closed loop and closed loop systems as well as their own brake elements in 100, 125 and 200 kN capacity.